Why do people with Alzheimer’s refuse medication? A common struggle for caregivers of older adults with Alzheimer’s or dementia is getting them to take their medication. When they refuse to cooperate, it’s especially frustrating because you work so hard to keep them healthy. Refusing to take medicine could be a response to feeling confused or afraid of what you’re asking them to do. They might also feel like they don’t have any control, which might make them feel angry or resistant. To make medicine time easier and less stressful on you, we’ve got 11 tips to overcome these challenges and convince them to take their medicine. When it’s time to give medication, start with a calm environment. Make sure there aren’t any loud sounds like TV or commotion like lots of people around. You could also try playing soft, soothing music. You should also be calm yourself. If you’re agitated, frustrated, or angry, they’ll be able to sense it and will also become agitated and less likely to cooperate. Take some deep breaths before you start and stay calm throughout the process. Someone might refuse to take their medicine if it makes them feel sick, uncomfortable, or if they have an illness. Many medications cause unpleasant side effects like nausea, stomach aches, agitation, or dizziness and your older adult might not be able to tell you that there’s a problem. If you suspect this could be the issue, speak to the doctor about how to improve the situation. They could also have something else going on like dental problems that make their gums or teeth hurt, poorly fitting dentures, a urinary tract infection, a cold or flu, or a sore throat. Many seniors take multiple medications. Sometimes doctors forget to review medications to see if they’re still needed. The last thing you need is to try to get your older adult to take more pills than absolutely necessary. Speak with their doctor to see if any medications are no longer needed and could be safely discontinued. Fewer pills = less hassle over taking medicine. Some pills could be too large and hard to swallow. Talk with your older adult’s doctor or pharmacist to see if any of their medications could be changed to a liquid formula or if you could crush the pills and add them to applesauce, yogurt, or food. Make sure to ask before crushing any pills because not all pills are crushable. Some could become less effective or unsafe. Don’t get into a conversation about why they need the medication or explain why it’s important that they need to take their pills. Reasoning with someone with dementia simply doesn’t work. Sometimes other things about taking medication can upset someone with Alzheimer’s or dementia. For example, they could feel distressed when they see a lot of pill bottles. In that situation, you could keep their medication bottles out of sight and only bring out the pills they need to take at that moment. Similarly, if seeing all the pills they need to take makes them anxious, you could give them only one pill at a time and keep the rest out of sight. If you don’t take any medicine, see if you can get away with “taking” a harmless food item like an M&M or Skittles candy. Sometimes they’re nothing you can say or do to get your older adult to take their medication. If that happens, don’t try to force it. Leave them alone for a bit so you can both calm down. In about 10-15 minutes, give it another try. People with dementia often have good and bad times of day. Trying to give medicine during one of their bad times isn’t likely to work. For example, if your senior gets sundowning symptoms, don’t give medication in the late afternoon or evening. Think about the times of day when they’re in the best moods and adjust their medication schedule to meet those times. Of course, before making any changes to their medication schedule, talk with their doctor to make sure the new schedule you’d like to use is safe and won’t cause any problems. A daily routine can do wonders for someone with dementia. With a regular schedule for taking medication, your older adult will get used to it and become more cooperative. You might consider offering a treat as a reward for taking their medication. For example, put a small piece of chocolate in front of your senior and say that it’s their treat after they finish their pills. It might even help take away any bitter taste the medicine leaves and associates something positive with taking medicine. Getting older adults with dementia to take their medicine is a constant challenge for many caregivers. These 11 tips help you eliminate problems that can get in the way and find different ways to make them more willing. What do you do when someone demands their pillbox. They are not competent enough to put the pills in the box properly nor do they remember to take the pills. They want to be in charge of their medication and it is a daily demand. They take their pills without issue, but want to be in control of them. This is the situation with my mother in law. We are having trouble getting doctors to diagnose her with anything other than traumatic brain injury, but she has no idea what day of the week or month it is. She doesn’t know what goes on from hour to hour. We have tried giving her pillbox back to her on several occasions but she ends up taking more than she should. I think because she forgets that she already took them because she has no concept of time. It’s natural for someone to want to control their medication, even if they’re not able to correctly manage them. Since your mother-in-law has cognitive impairment, she definitely needs help managing her medications and supervision when taking them. You may have to experiment to find ways that will allow you to not upset her and keep her safe from over- or under-dosing. Depending on her level of impairment, some ideas will work better than others. But the only way to know for sure is to try. One idea is to give her a fake pillbox with fake medication (tiny candies like tic-tacs or similar). That way, she feels like she’s in control, but when she “takes” her medication, it won’t harm her. Then, you’ll need to find ways to get her to take her real medications in a way that won’t make her suspicious — maybe by crushing them and putting them in small portions of food (assuming the pharmacist says that’s ok). You could also try making it easier for her to know what day and time it is. This doesn’t work for everyone and depends on her level of cognitive impairment, but may be worth trying. For example, many people have said that a clock like this one (https://amzn.to/2nm36OD) is very useful for people with dementia. A jumbo-sized wall calendar like this one (https://amzn.to/2LSu5zc) could also help. There isn’t a perfect solution and you may end up just having to endure her anger to keep her safe until this phase passes, but experimenting creatively will help you find strategies that can improve the situation. I am the caregiver for my 100 yr old Grand Aunt. Lately she’s started refusing her meds. Looks like every 3rd or 4th day. All she needs is her dementia meds and blood pressure pills twice a day. Oh, and Trazadone for depression and to help her sleep. She’s very lucid since I’ve changed her diet but being lucid is bringing out the ‘meanness’ in her. I’ll be contacting the pharmacist to see if I can crush these meds, but mixing it in her food will be a challenge. Next to applesauce I’m drawing a blank on what else I can fool her with. She loves diversity in her snacks. It’s great that you’ll be speaking with the pharmacist to find out what alternatives would work with her pills. That’s always important to do. Hopefully, some of the suggestions above will help the situation. I wonder why it is so important for people with dementia to take meds? When someone has dementia, they will still have any other health conditions they had previously. For example, someone might have dementia and heart disease, diabetes, or another chronic health condition that requires daily medication. That’s a great strategy to try with someone who is religious. Thanks for sharing! These tips might work on a 90+ year old. Unfortunately my daughter is 55 and none of these methods works. If she doesn’t want her meds try every way in the world but she will not take them. If she wants to she will and only then. Great tips. Obviously it depends from person to person, but the waiting period of 10- 15 minutes never worked for me. From my experience, waiting for 30-45 minutes “resets the clock” and the medication situation becomes a lot easier. So true, it really depends on the person. Some may need more time and some may be ok with less. If your person has trouble swallowing pills, try using something other than water … my mom coughs and gags horribly when she takes pills or capsules — regardless of size — with water. With thick juice such as prune or tomato, or a carbonated soft drink (she loves root beer), she hardly ever chokes. When I mentioned this to her doctor, who is 70+ years old himself, he told us he gags when taking pills with water, too! Myself, I’ve always hated using water, due to the real or imagined taste of some meds, though have no swallowing problems as yet whether using water or something else. If/when I develop them, I know what to do! I agree with Ms. Chow about the image. Mr mother is 92. I’m pretty sure she doesn’t have Alzheimers because I went through 10 years of my Dad having Alzheimer’s. But her mind is slipping some. I put Mother’s pills in a 7-day Pillbox and sit the box on the table at the proper time. That way, I am not forcing my mother to do anything. Thank you Phillip! It sounds like you found a great way to help your mom with her medication. 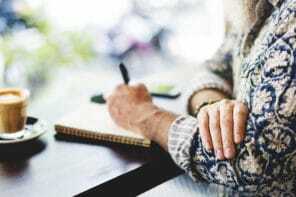 The tips for assisting a person with dementia to take medications are great, however, I have a concern with the picture you used for this blog. A woman is holding a pill in her hand, practically shoving it in another woman’s face. If that happened to me, I not only would not take the pill, but might feel like swatting at the person holding it. It’s rude and demeaning. A better image would be the caregiver sitting beside the other person, face to face, and having the pill in a small glass or medication cup, and offering it to her hand, while showing her a glass of water. Offering, not pushing. Thanks for a great article! Thanks Linda, we’re so glad you found the article helpful! I’m sad to hear that you didn’t like the image, we never intended to portray any negativity.